Green’s name had been withheld from the public after he secured a court order preventing the Daily Telegraph from publishing a story about several of his employees accusing him sexual misconduct and racial abuse, the Associated Press reported. Arcadia Group did not immediately respond to Business Insider’s request for comment. 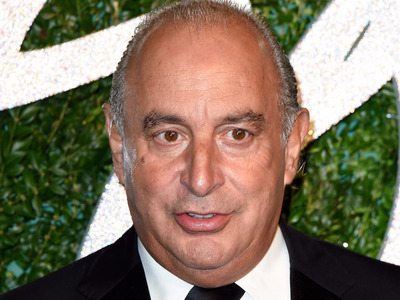 Phillip Green has built his empire using women. They work in his shops, they make his clothes, they buy his clothes. “While many of the allegations are only claims and have not yet been legally proven, Philip Green’s association with them is highly damaging for both him and the various retail businesses he owns,” Neil Saunders, managing director of GlobalData Retail, said in a statement emailed to Business Insider.